self.view.layer.border... is not working for me because I need different colors for different sides of the border. 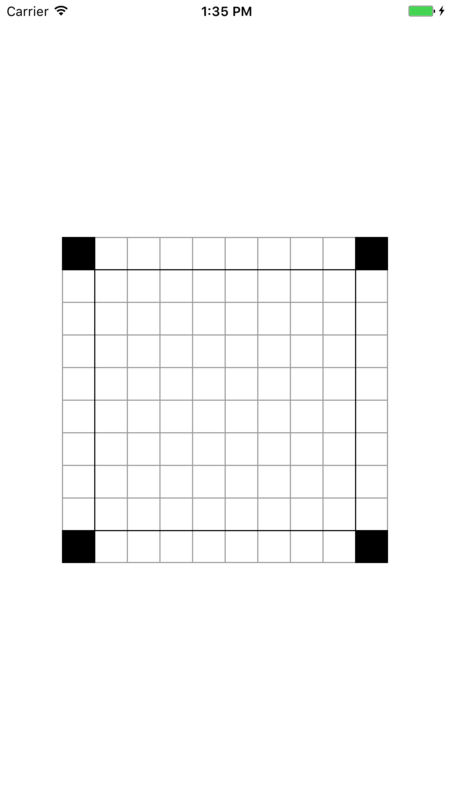 Also the outer cells of the grid would only have half the border of the other cells because their borders add up when positioned right next to each other. I could draw a container view which draws the right colors and then position the cells with a gap of 1px but this solution also does not look very nice. //TODO: better way to do it ? addBorder() is a method in an UIView extension which adds a 1px view with the correct height/width/color to the given edge. I would love to have your opinions on how to improve the drawing process because I know that the current code is not readable at all and is way too complicated for such a basic thing. Not the answer you're looking for? Browse other questions tagged swift ios graphics uikit or ask your own question.